Before I gave my “Ebooks Made Easy with Scrivener” workshop at the Romance Writers of America National Conference last month, I figured I’d better actually go through the entire process of creating a book, from writing to publication. The hardest part was coming up with something to publish. I figured if I was going to put a book out there, it might as well have value to someone. But my fiction’s not ready, I can’t write anything that competes with Scrivener For Dummies, and I didn’t have time to create something completely from scratch. Then it hit me. I taught an online course for RWA University in June about writing tools for the PC and Mac, where I talked about free and low-cost software programs and apps that help you reduce distractions, collect research, manage your time better, organize your writing, and back up your work. The five-day class received a positive response, so I figured that it was useful information. If anyone bothered to pay 99¢ for it, I didn’t want them to feel cheated. So, I expanded and polished my lessons and compiled them into a short ebook—I’d call it an ebooklet, equivalent to around 30 pages—called Productivity Tools For Writers. When I started writing romantic fiction in 2009, self-publishing was called vanity publishing. It was something only the desperate did. Or those who’d been suckered by some slimy, snake-oil publisher. It was something RWA warned us against: paying to get published. We should be getting paid for our work. What a difference four years makes. Sure, RWA still urges writers to get paid for their hard work, but now they’re helping us figure out how, even if we want to do it by self-publishing. At last year’s conference in Anaheim, there were a handful of self-publishing workshops, but it was still something that many of us considered a last resort, or something only those who wrote “weird” cross-genre-hard-to-categorize books did. This year was a whole different story. The self-publishing track in Atlanta was teeming with best selling self-pubbed authors like Bella Andre, Barbara Freethy, and Courtney Milan sharing their secrets to success, along with the pitfalls. I even gave a workshop on formatting e-books via Scrivener. Many of the workshops were packed-to-bursting, standing-room-only affairs. Four years after I started with a dream to get plucked out of the slush pile by New York, I joined the frenzy of writers angling to learn everything we could about how to make it on our own, how to take control of our writing careers. I’m not saying self-publishing is the only way to go. There are many for whom the validation of New York—and seeing their book on a shelf at Target or Barnes & Noble—is a the most important thing. And that’s okay too. In fact, many of us would like to try both. 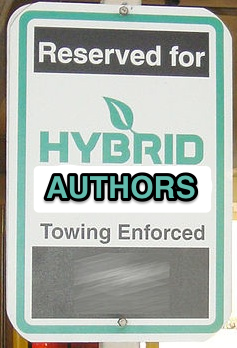 One of the terms I heard a lot at this year’s conference was “hybrid author”. A hybrid author is one who’s published in more than one way, some combination of self-published and traditionally or e-first/e-only pubbed. The beauty with self-publishing is that it doesn’t rule out a traditional contract down the road. And if you self-publish well, it might even bring New York to your door with a print contract. On the other side, many traditionally published authors are leveraging their print audiences by self-publishing. They might not sell as many books, but their royalties are higher. I heard over and over from hybrid authors that they were making more from their self-published titles than their traditional ones. I think for many of us, hybrid is the future. I couldn’t talk blithely about my goals today without stopping to mention the tragedy in Boston yesterday. My heart hurts for all those affected. It also swells at the stories and pictures of those who raced in to help just seconds after the bombs went off. After such devastation, we need a reminder that most people still care about their fellow humans. Last week I talked about being bold and setting big goals. 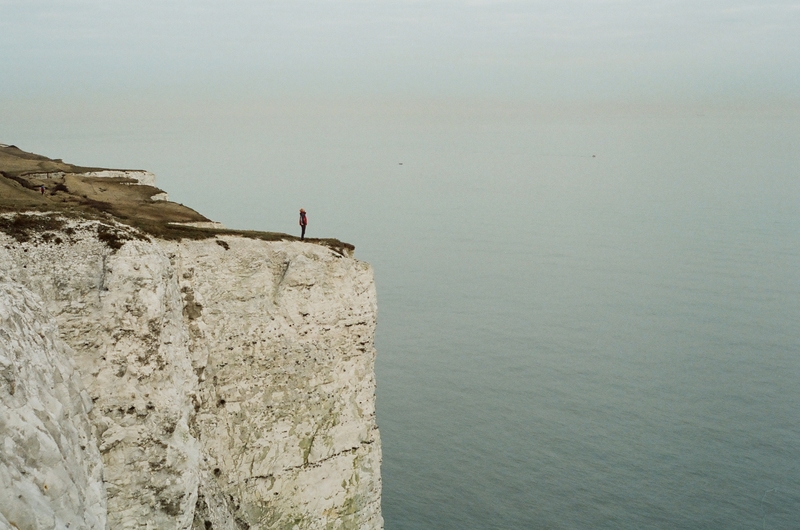 Not just big, but scary goals that represent what you really want out of life in the long term. To make enough money from my teaching and writing activities that my husband can quit working when he’s eligible to retire from the Air Force in 2016. That’s my big, scary goal. It used to be just a dream, something that would hopefully happen one day after I finally got published. But wishing for something—which often means you think it can’t really happen—does not get help me get things done. Nor does it help me figure out which path to take. Goals, on the other hand, can be broken down into progressively smaller pieces until you get to something you can start today. I’m already making some money from teaching—and from Scrivener For Dummies—but I really want to generate income from my fiction. With that in mind, I started thinking about the best way to do that. 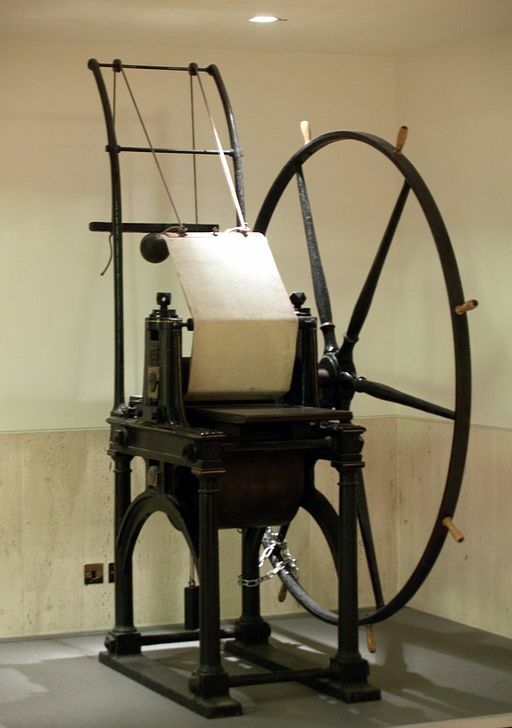 Keep working toward traditional publication, or self-publish? Even a year ago, this would have been a no-brainer for me. New York all the way, baby! But times have changed. While I would love to be on bookstore shelves—if there are any left in a few years—and would love the ego stroke that getting a traditional publishing deal would bring, I don’t need either one to consider myself successful. Neither is a guarantee that the money would follow. So, my plan is to self-publish. I think for all but the best writers among us there’s more money to be made going it alone. That said, I don’t want to self-publish just because I’m not good enough to get a deal. I’ve seen enough work by authors who should have waited a few years to upload their books to Amazon, and I hope to not be one of them. But the kind of feedback I’ve been getting tells me I’m close. With a little help from an editor, I hope readers will never even notice my book doesn’t come from Avon, Signet, or St. Martin’s. Am I averse to risk? Oh, yes. But there are different types of risk. While I’m loath to plop down the cash (that I might never earn back) for an editor and book cover designer, I’m even more worried about giving up my rights indefinitely to a publisher. I also like to be in control. By self-publishing I can choose my covers, titles, release dates, book lengths, and story lines. For better or worse, success or failure is all on me. By defining my ultimate goal, and determining that I intend to reach it by self-publishing, something dramatic happened. My daily priorities changed drastically. I dropped my current WIP cold. It doesn’t fit with my new plan to release a trilogy in the spring of 2014, so it had to be pushed aside so I can work on revisions for the first book in the series and get to work finishing book two. Without defining my goals so carefully, I would have kept pushing really hard—25,000 words in January, for example—on the wrong thing. Productive, yes. Helpful, no. I can now make more informed decisions about how to utilize my time. Sign up for editor/agent pitch appointments at a conference? Nope. Read a blog post on writing great query letters? Pass. Take a class on self-publishing? Sign me up. See? A month ago, the answers to those questions would have been very different. There’s the real value of creating specific goals and plans for achieving them. There's no guarantee I'll succeed, anymore than there was ever a guarantee I'd get a publishing contract. But at least I know I’ll be heading in the right direction. Thanks to iUniverse and other self-publishing companies, the path to authorhood is a click away. Even a single copy of the history of your century-old house is possible. So far so good, right? I'm all for self-publishers for cases where you have a small, specific market for something that a traditional publisher would never print. Want to give everyone in your family a nice book with the family tree and great uncle Mort's diary from the Gold Rush? Want to print a history of your small town to sell at the local museum? Then self-publishing might be the way to go. The problem I had with the article was this next line, because it perpetuates the vanity press and self-publisher's claims that a wannabe fiction writer can skip the slush pile and be the next NYT Bestseller if they pay to publish. And the secret is out: This is where many six-figure book deals start. The secret is out? Many six-figure book deals? How many? Whose? Where the heck did the author of this article get her info? I'm guessing she interviewed the happy sales folks at iUniverse and swallowed the bait whole. All I can say is thank goodness I'm a member of a professional writer's organization whose aim it is to educate me about the predatory practices of such publishers.